This comprehensive course gives students a solid foundation in professional picture book making. We focus on the wedding of word and picture with an emphasis on pacing using current publishing picture book standards. The course is designed to give adults step-by-step instructions to bring a picture book idea to a completed “dummy” prototype. Whether you choose to submit your dummy to a mainstream publisher, or to use it as the basis of your self-published book, at the end of this year long course you will know how to engage your readers with words and pictures. All levels of technical ability are welcome. The maker of a great picture book understands pacing and story-telling, not necessarily how to perfectly draw and paint. Writers are also welcome to join. Enhance your understanding of the function of your manuscript and the illustrator’s responsibility. Even if you consider yourself a stick-figure drawer, you can easily learn about and indicate pacing and its importance to your story. Beginning, Middle, End–a story not an anecdote! Don’t “tell” me to sleep–“Show” me awake! And that is why I’ve created this year long course. There are no other comprehensive offerings for picture book making instruction in the entire state of New Mexico. Weekend workshops on the subject are overwhelming and too short a time period to share so much information. It can be discouraging when one learns how much there is yet to learn of the process when there’s only two or three days with the instructor. I’ve found that, as an MFA Advisor and a consultant to individual projects that were started without a firm foundation, we inevitably have to back track. Without a solid foundation, new picture book makers often miss certain particulars that are important to have as a base upon which to build. Nice and slow, easy does it, bit by bit, let it sink in. That’s my approach to this course. 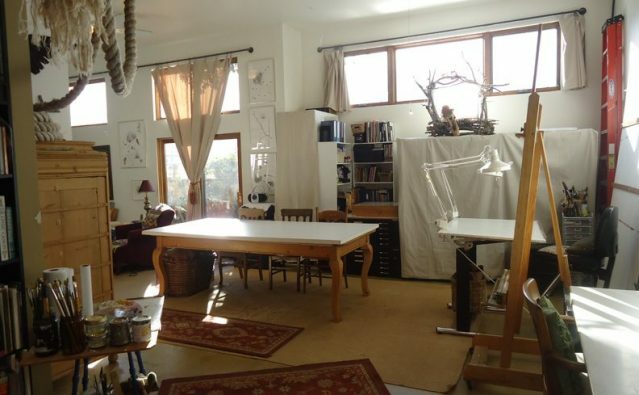 Classes are held in Susan’s Santa Fe studio. 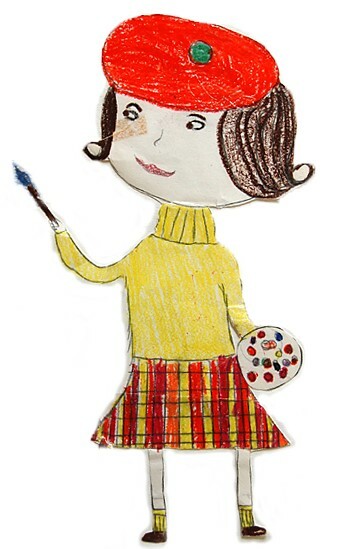 Susan Guevara has illustrated over 20 picture books for children during the last 26 years. Among her acknowledgements, her work has been a three time winner of the Pura Belpré Medal and Honor Award, received the first Tomàs Rivera Award, and has been recognized as one of the New York Times 10 Best Illustrated Books of the Year. Her contribution to the book, “Chato’s Kitchen” authored by Gary Soto, has been recognized by the New York Public Library as one of the 100 Best Books in the Last 100 Years.